With over half a billion active users, Instagram has become a new destination for marketers who’d like to make a positive impact on their social media marketing strategy. Over the years, this platform had seen some significant changes and may seem like it is highly impossible to follow up on all the changes happening in the digital world. Since Instagram is a visual platform, it offers plenty of opportunities for marketers to display their products or services to potential customers. Therefore, it is essential to explore new Instagram trends so that you can get most out of this platform. Shopping on Instagram has become so much easier – thanks to the shoppable post features! This trend allows marketers to tag their products and when users click on the “shop now” button, it will instantly take them to the website, where they can make a purchase. Therefore, digital marketers can use this platform to share their products or services with prospects in a visually stunning way. Likewise, Instagram has made it easy for users to discover products and purchase them directly without ever having to leave the platform. However, marketers can sell their products only with an approved business profile which has to be checked and approved for shopping on Instagram. 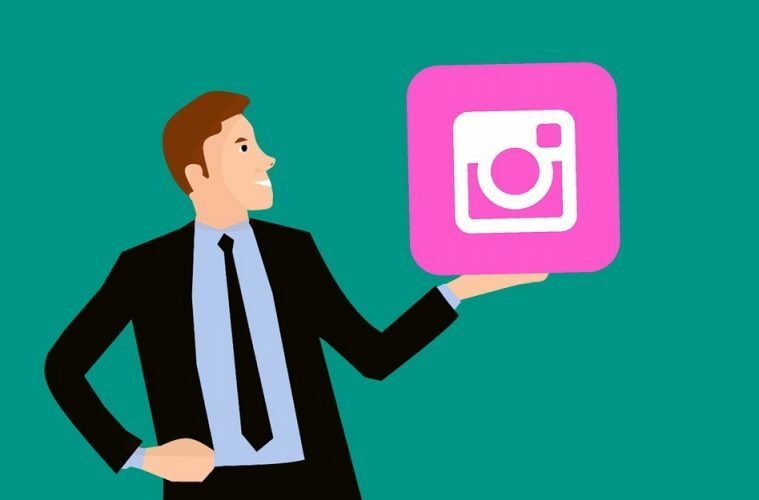 Through this way, you can display and sell your products on Instagram without having to spend too much money on your marketing campaigns. Moreover, shoppable posts would automatically provide links to relevant product pages on your website so users can easily purchase a product or service. AR filters on Instagram are changing the way how people used to express themselves in social media networks. However, some marketers still despise using AR filters and consider them inappropriate for marketing campaigns. Now that user’s attitude towards it has changed, brands have started using filters in their photos and videos for connecting with their target audience. Therefore, it is going to be a valuable asset for digital marketers in the near future. Since these filters are in huge demand, many top brands are developing their own custom-made filters to attract potential customers. For this brands have to collaborate with Instagram (to create custom filters) which can then be used for promoting their products or services. Soon there will be a time when you’ll be able to create customized filters instantly. So, as a marketer, you should start learning how to use filters and stickers to promote your products or services. Filters are definitely going to amplify your Instagram presence and expected to be one of the most significant trends of 2019. Since people on Instagram are used to experiencing videos in the vertical format it is essential for marketers to embrace this trend, if they want to evolve with this platform successfully. Moreover, this form of videos has become an integral part of some of the popular social media channels. Previously, videos on Instagram used to be square-shaped, but now you can post videos that fit the size of your phone’s screen when held vertically (the way you grip your phone when scrolling through the feed). Therefore, it is important to learn how to create and edit videos in a vertical style because this trend is likely to stay. Note: IGTV was explicitly designed for this purpose (plus long-form videos) so marketers would have a better way of producing content using their mobile phones. This standalone application also encourages your audience to produce video content exclusively from their mobile devices. Since the number of people consuming content through mobile phones is growing rapidly, IGTV can help marketers to get their brand in front of the target audience. Since brands have taken advantage of influencer marketing, marketers have started creating events for influencers to engage with their brands and products in a more substantial way. So, it’s safe to say that offline events are going to conquer Instagram in 2019. Generally, brands would take influencers or users on vacations to fun-filled locations to connect with their brand and learn more about their products or services. Therefore, creating an offline experience for influencers will not only help to gain more followers but also generate more sales for your business. Considering the fact that popular brands are in love with offline events, this trend is not going away anytime soon. Instagram stories are the most popular trend which had got even better when story highlights were introduced. Unlike Instagram stories that perish after 24 hours, highlights let you create pictures and video clips and include them to your profile as long as you want (Can be viewed anytime). Generally, marketers use Instagram stories highlights to draw attention on events, tutorials and new products or services. It is more like a homepage that you would like your target audience to visit on your website. As a digital marketer, you can even try using story highlights for each of your product lines. Therefore, story highlights can be used to provide valuable content to reach your target audience and build your influence on Instagram. Note: You can include up to 100 photos or videos to a story highlight. Since Instagram is one of the fastest growing social media platforms which never stops evolving, your social media marketing plan should never remain the same. It is a desirable place for marketers to engage with their customers, build a community and share new experiences with followers to make them come back for more. Therefore, Instagram has launched new features and transformed itself into a more business-friendly network. So, regardless of what your end goal is, you need to be well aware of the new Instagram trends that are changing the ambiance of this platform. The above Instagram trends will not only make it more exciting for users but also gives plenty of opportunities for digital marketers to maximize their brand’s presence and achieve success in 2019.